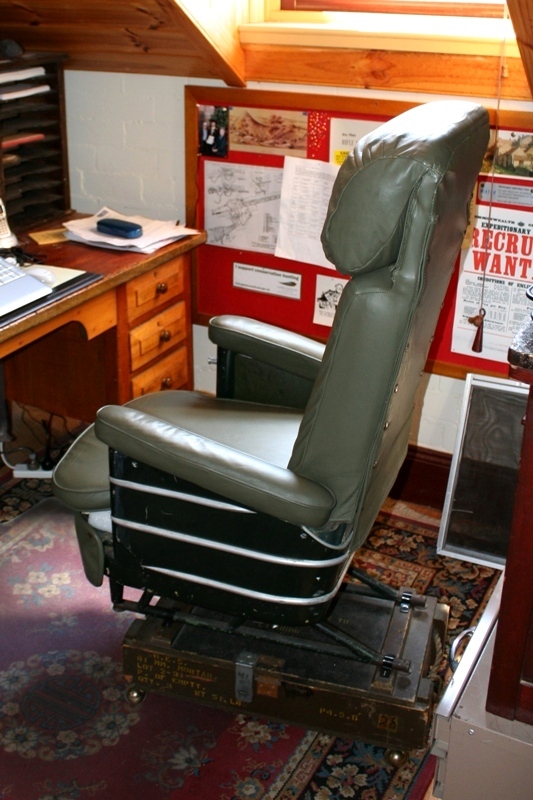 On the weekend I visited a bloke who had what I reckon is the coolest office chair I’ve ever seen – It’s a seat out of a WWII Hudson bomber! 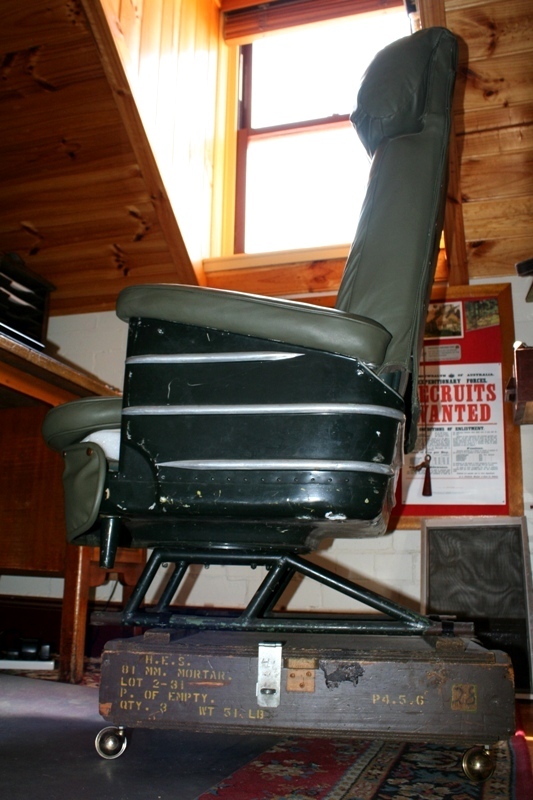 As you can see the seat has been mounted on an old ammunition box to give it some extra height, and some castor wheels have been added to make it more practical. It looks real comfy too! The cool part is the Hudsons were originally a commercial plane which were brought into military use, which is why it features the neat ribbing and detailing around the base. 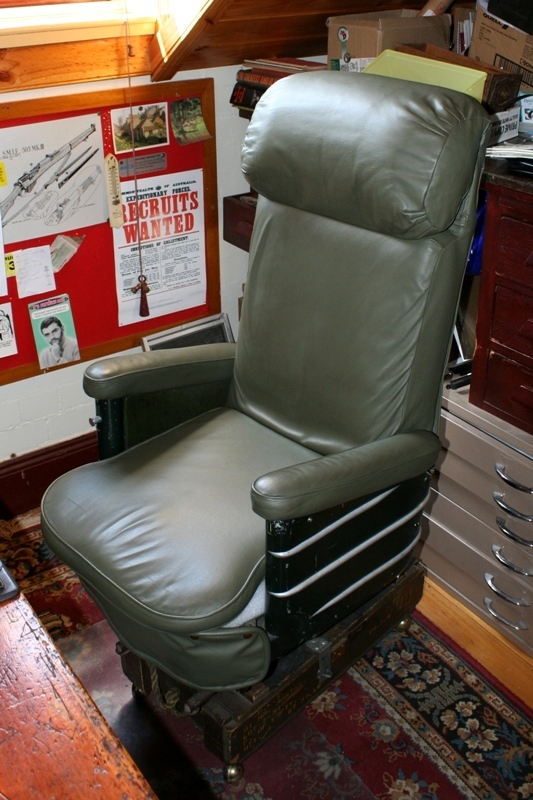 At the end of the war things were pretty scarce so the seat was brought home by a serviceman who used it in their home. In more recent years the current owner stumbled upon it on ebay, snatched it up for a measly $50 after it didn’t sell, had it reupholstered and turned it into the beauty you see before you. I want one!